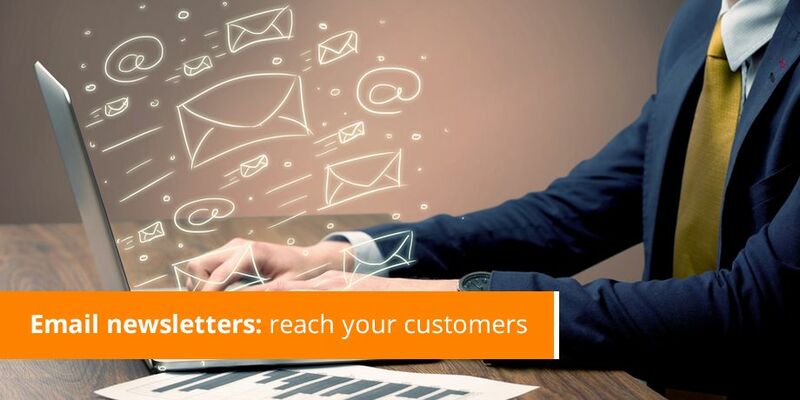 Email newsletters are powerful tools – still proving to be the most efficient and effective way of reaching a large portion of your customer base in a personalized and targeted way. For any email newsletter to be successful the message should be relevant, clear and consistent – and getting the mix right can be challenging! In this issue of eMarketing Insight we give 5 simple tips that will help you improve your email newsletters. How are you profiling and storing your customer data? If you know who your readers are, you can provide relevant copy to them and the tone can be set. This does not mean that you need to know your readers’ individual likes and dislikes, but rather, understand your target market and address them accordingly. With the launch of each newsletter, there are specific goals in mind and the goal behind the content is what your readers have come to expect from following issues thereof. For example, if your newsletter was launched as a promotional email, to provide tips on a specific subject or a newsletter dedicated to news, stick to your original goal. If you are going to change content, tell your readers about it and ask for their feedback. You shouldn’t attempt to produce copy that encompasses all your products/services and send it to everyone on your database. Only send information that is relevant to the reader. If you want to include additional copy, informing them of new products/services or to cross-sell any others to them, you should provide links with clear headings in the body of the email. Also avoid including too much copy in the email. The newsletter should provide your readers with short and concise bits of information. If there is a lot of information to include, supply a table of contents, or buttons down the side, so that the click-through to the relevant information is quick and easy. Inviting comment is an essential element in every newsletter. The words of your readers can make interesting content in either reader contributed thoughts and ideas, or reader questions, followed by your own answers. You could also consider having a separate section with reader feedback, which encourages more people to respond, as well as providing for interesting reading. The subject that has prompted one reader to respond could also be interesting to others. Make sure your content and links are relevant, up-to-date and valid. Email lends itself to immediacy, which means that copy distributed must always be relevant when it is delivered. Email lends itself very well to delivering timely content, and as a result, readers expect that information delivered in an emailed newsletter is up-to-date.